Lovely shots. 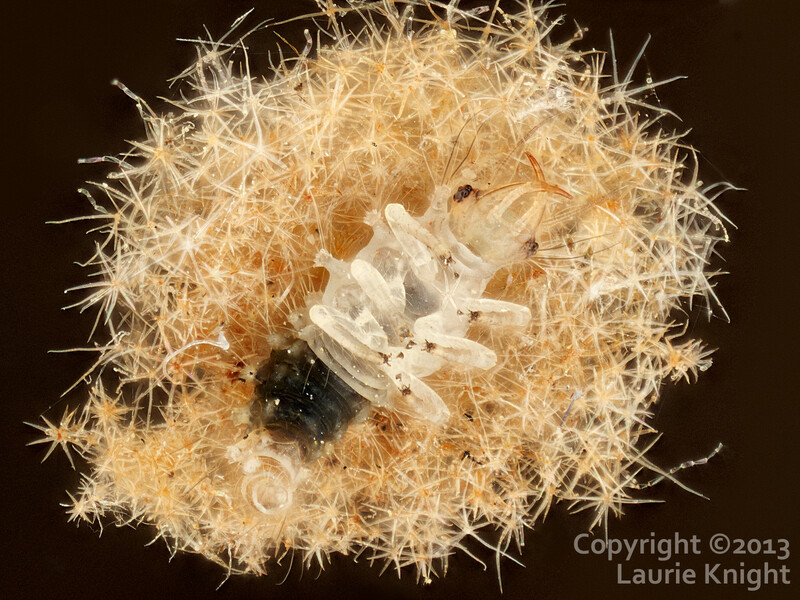 Pretty sure that's going to be a Neuroptera (lacewing) larva. Yes, the same here, Laurie. I don't even think this is a scale insect, these mandibles reveals a predator. The anatomy refers to Neuropteran larvae.